Designed for both new and experienced photographers, this Creative Lab will explore the fundamentals of digital and documentary photography, discuss their historical impact and encourage students to begin developing their own personal aesthetic. 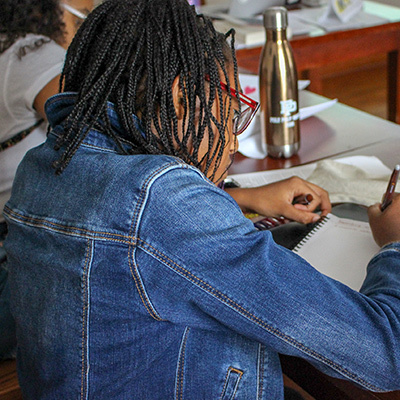 Students will build a portfolio that communicates their unique personality and experiences, visit beautiful historic sites around DC and display their work in an exhibition at the end of the week. All equipment is provided, although students are welcome to bring their own. David’s work has been displayed in numerous collections, including the Virginia Museum of Fine Arts, the Chrysler Museum, Cedar Rapids Museum of Art and the Academy Art Museum. His work has also been shown in exhibitions alongside artists including Chuck Close, Robert Mapplethorpe and Hiroshi Sugimoto. David explores the power of photography in history, and the development and communication of each artist's unique personality through their experiences and work. Day trips to Bull Run Battlefields, Mount Vernon and iconic DC monuments. Practicing studio-style portraits, underwater photography and stop-motion photography. Classroom instruction and examination of each artist’s work to advance their technical grasp of photography. Studying various forms of photography including ranging light landscape exposure, portrait and action. Working in EHS’s photography lab to edit and print photos. Editing, displaying and discussing personal portfolio work in a gallery opening. Interested in more than one week? Check out our D.C. Discovery Weekend. This Creative Lab will encourage aspiring writers to discover their authentic voice via fiction writing, poetry and journaling. Through daily mindfulness and freewriting exercises, as well as structured writing, feedback and revision sessions, students will practice the craft of writing while working to develop their own unique voice. Students will listen to podcasts, read memoirs and visit the stomping grounds of famous local writers for inspiration, and all students will receive daily constructive critique. The session culminates in a reading for family, friends and the larger community. 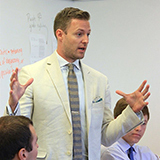 In addition to teaching in the English Department at Episcopal High School, Ben also serves as the Associate Dean of Students and the Dean of International Students. 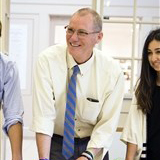 He focuses his efforts on creating meaningful holistic student experiences, as well as making the transformative power of a boarding school education more accessible to all. His passions include writing poetry and researching topics in education. Experimenting with various writing styles including spoken word poetry, journaling, narrative writing and fiction writing. Learn to develop, shape, draft, refine, and finish a piece of writing. Daily feedback and revision to help establish a solid writing process. Day trips to local sites used as writing inspiration and those of famous historical importance. Editing, reading and discussing personal portfolio work for the final reading event. Experienced and novice actors alike will relish this all-in exploration of musical theater at Episcopal’s Ainslie Arts Center Black Box Theater. Students will learn not only acting and singing principles, but the basic technical elements of theater, including lighting, costuming and more, as well as create and perform in a showcase at the end of the week. 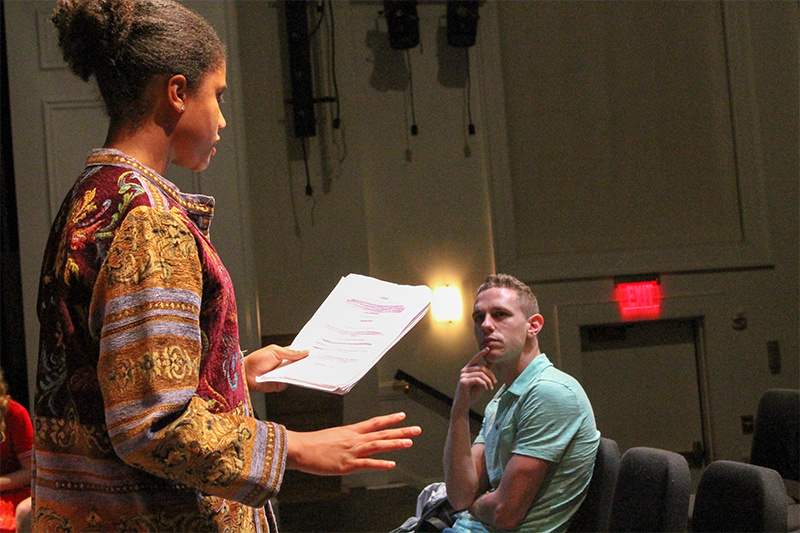 With masterclass instruction from Episcopal High School staff and cast members from local production company, Monumental Theater, this Creative Lab is designed for those with a passion for the stage. 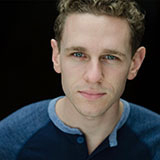 Michael is a freelance director and theater professional in the DMV and serves as Co-Artistic Director of Monumental Theatre Company. During the school year, he works as the Arts Assistant at Episcopal High School where he assists the theater, music and visual arts departments. With Monumental, Michael has directed and collaborated on several shows, most recently the critically-acclaimed Brooklyn: The Musical. Musical theatre development of both character and performance style to develop and refine the techniques of acting through song. Developing a capstone musical theater performance that includes character development, set creation, production management, singing, acting, directing, rehearsals and live performances. Attending an off-campus professional show at a theater in Washington, D.C.
Masterclass instruction led by local professional talent. Rehearse and perform a final musical theater showcase on campus. Because many students want to explore multiple programs, our D.C. Discovery Weekend allows students to unwind and explore the region through outdoor adventures and local events. Developed to both excite new photographers and encourage students who are looking to expand their skills through hands-on experience. Students will explore the fundamentals of digital and documentary photography. Through daily freewriting and structures exercises, students will work to develop, shape, draft, refine, and finish an original piece of writing. 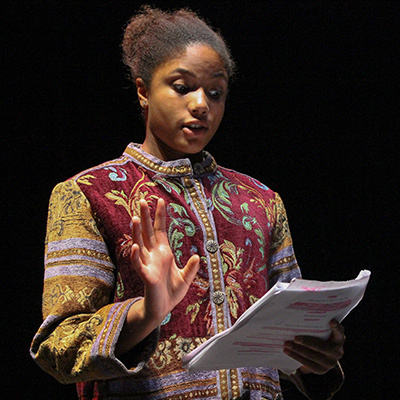 Designed for students with a passion for the stage, this Creative Lab focuses on rehearsing and performing a final musical theater showcase at Episcopal’s Ainslie Arts Center Black Box Theater. 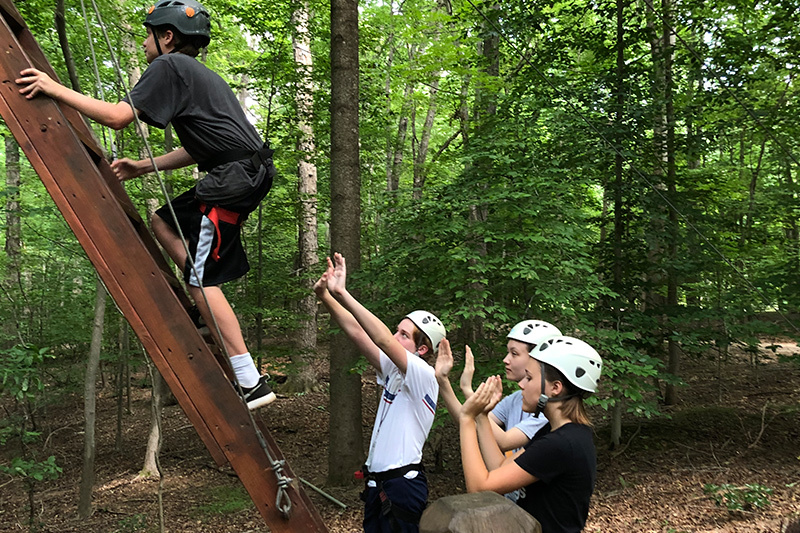 The camp not only explores the principles and fundamentals that make up the "Central Dogma of Molecular Biology," it also leverages hands-on experimentation and access to the cutting-edge technology and gadgets of many of today's most advanced biological research into an ongoing passion for the field. 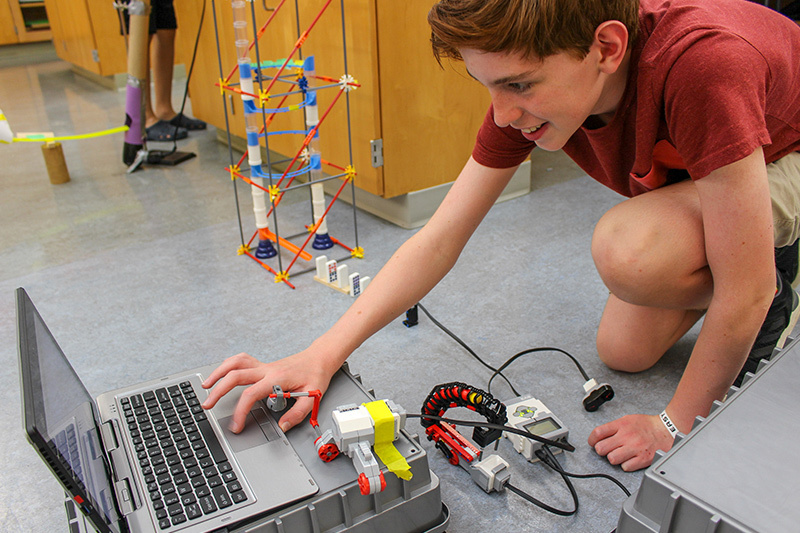 Students will use problem solving and engineering design skills to tackle a real-world challenge in Episcopal’s state-of-the-art laboratory space. Students get a taste of boarding school life and learn from local entrepreneurs, technologists, scientists, government officials, and artists. 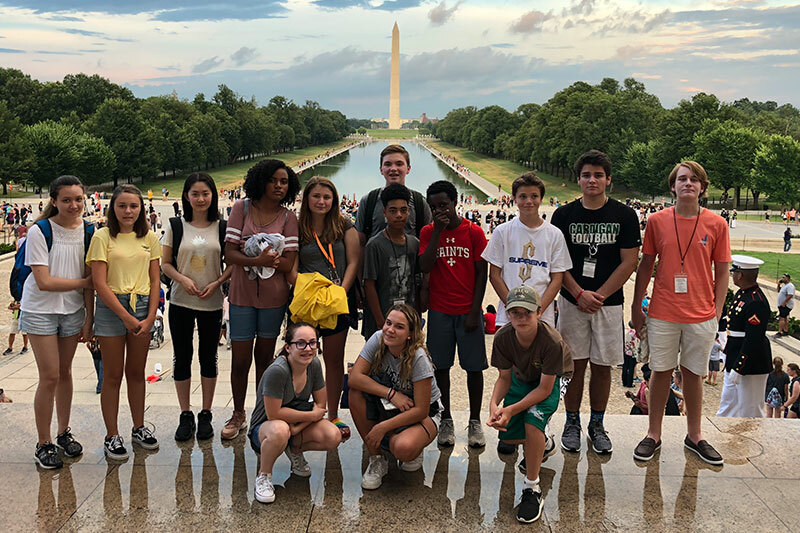 We also visit the city's must-see sights, including the Washington Monument, the Martin Luther King, Jr. and Lincoln memorials.